Answers to FAQ Regarding Richmond Elderly Diabetes | BrightStar Care " "
Diabetes has become one of the most prevalent diseases in the U.S.—nearly 30 million Americans have it. Older Richmond senior adults are especially at risk. As we age, the risk of type 2 diabetes rises, and, as a result, about one in four Americans over the age of 60 has diabetes. Whether you have a Richmond senior parent who was recently diagnosed with diabetes, or you want to learn how you can prevent it in him or her (as well as yourself), read our FAQ for helpful information on diabetes, including how to talk to an elderly Richmond parent who has been diagnosed. 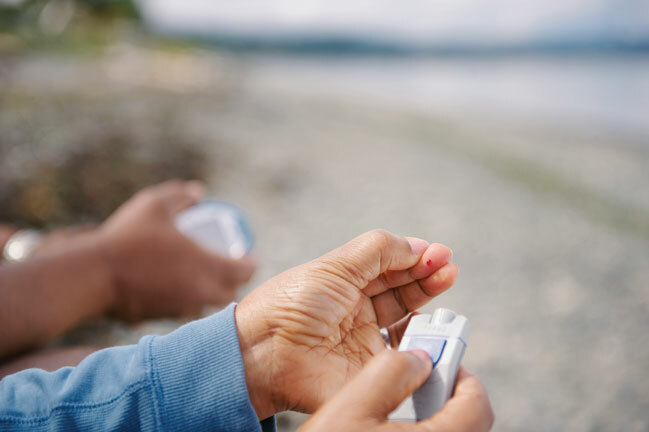 Some diabetics exhibit none of these symptoms, so it’s important to help your Richmond senior parent keep annual checkups with his or her doctor to check fasting blood glucose levels, especially after age 45. Help your Richmond senior parent make healthy lifestyle changes to help prevent type 2 diabetes. This includes maintaining a healthy weight, following a well-rounded diet and exercise routine, and minimizing stress. What’s the best way to approach a recent diabetes diagnosis with a Richmond elderly parent? It’s good to approach the situation gently, ideally with a professional nurse or caregiver. Diabetes is not a death sentence, nor does it demand a complete lifestyle change overnight, so assuage your parent’s fears and partner with him or her—don’t preach. Find printed materials to help parents learn about their condition and the self-care program they’ll need to begin, then encourage them as they make changes. For even more advice on this topic, read an interview with two BrightStar Care caregivers on DailyNurse. What’s a healthy diet for a Richmond senior with diabetes? To begin, it’s a good idea to talk about diet with your Richmond senior parent’s doctor or a registered dietician who has experience working with diabetics. The American Diabetes Association recommends using “the plate method.” With this method, begin with a nine-inch plate and pile your food about as high as a deck of cards. Fill half the plate with non-starchy vegetables, such as broccoli and carrots. On the other half, one quarter should be reserved for protein (meat, chicken, fish), and the other quarter for starches (rice, potatoes, beans). A serving each of fresh fruit and low-fat dairy can accompany the meal as sides. How much exercise should older Richmond senior adults with diabetes get? What long term complications are Richmond seniors with diabetes at risk for? It’s not safe for older adults with Alzheimer’s to try to manage their own medicines. In addition, depending on how progressed the Alzheimer’s is, a senior may forget to plan, prepare, and eat meals. For this reason, it’s recommended someone—whether a family member or in-home caregiver—assist your parent with taking medicines and eating properly. Richmond Seniors: Why Are the Kidneys So Important?